After dating for about three years, Golf legend Tiger Woods and skier Lindsey Vonn have broken up. Lindsey, who was last seen supporting Tiger at the Masters Tournament in Augusta, Georgia in April announced her split from Tiger in a Facebook post today, saying the break up was mutual. 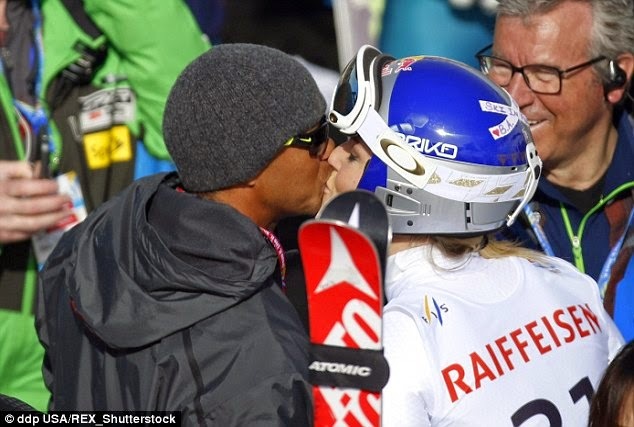 "I and Lindsey Vonn have mutually decided to stop dating. I have great admiration, respect and love for Lindsey and I'll always cherish our time together. She has been amazing with Sam and Charlie and my entire family. Unfortunately, we lead very hectic lives and are both competing in demanding sports. It's difficult to spend time together." Say the truth Lindsey, did he cheat? His marriage to Elin ended in 2010 after he was found to be a serial cheat...he had affairs with multiple women.